Are you familiar with K-Pop? 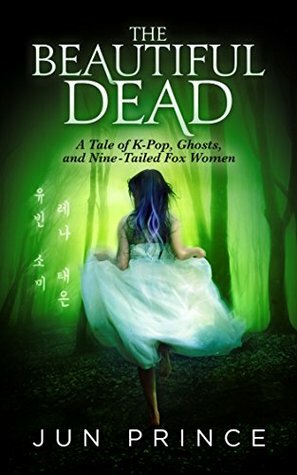 Even if you are not, you will be intrigued by this Paranormal Fantasy called The Beautiful Dead by Jun Prince, which involves a young girl K-Pop group. Sounds interesting? I thought so. Don’t forget to enter in the giveaway at the end of the post, for a chance to win a signed copy of this book! Jun has lived in Asia for the better part of the last decade. During his years in Korea, he made a point of learning about and getting as close to the Korean entertainment industry as possible while writing his first novel “The Beautiful Dead.” He enjoys telling stories about monstrous humans and humanized monsters.